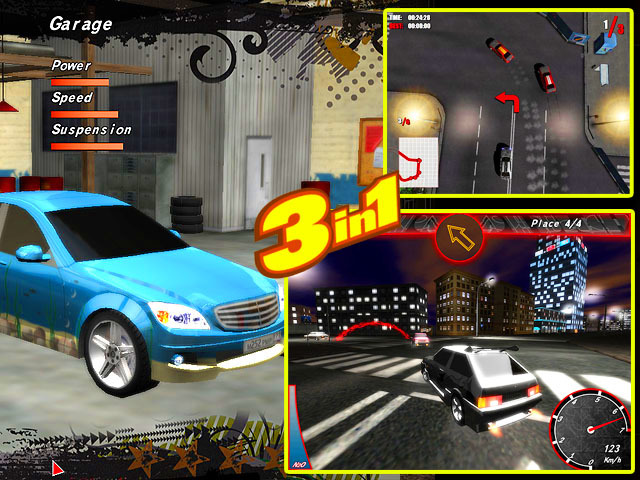 A set of three games about street racing - Night Street Racing, Illegal Street Racers and Street Racer. Now you can become a street racer. You will take part in illegal competitions where you can earn money and buy new cars. Racing skills and proper tuning will determine the winner. Try to win in the world of street racing. At night, the streets of the city are filled with colorful sports cars with aerodynamic tuning and crazy street hooligans at the steering wheel. The racers are legendary for their need for speed, while the cars they drive signify the perfect union of consumer-grade auto manufacturing and extreme vehicular tuning.